Mine: This losses much of the sweetness that the original had. The lovestory and the kids helped to boster that movie. Here the comedy just is not enough. Knotts is great as always. 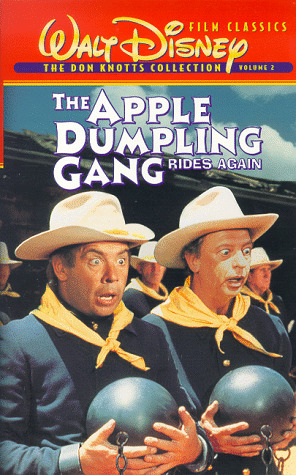 Leonard Maltin/Plot synopsis: More of the same, with Knotts and Conway as bumbling outlaws in the Old West; usual Disney slapstick, without much zip or originality.